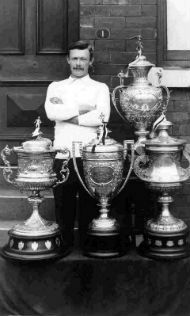 Season 1889 - 90.....Walter played 35 games in his first full season with a possible four more. Season 1890 - 91.....Played in 32 confirmed games with a possible four more. Season 1891 - 92.....Played 34 with a possible two more. Season 1892 - 93.....Played 30 with a possible four more. Season 1893 - 94.....Played 35 with a possible two more and scored 12 tries. Season 1894 - 95.....Played 29 with a possible two more and scored five tries. Season 1895 - 96.....Played in 39 matches. No points details are available. 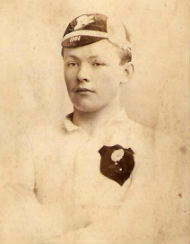 Season 1896 - 97.....Played 32, plus four friendlies, and scored five tries. 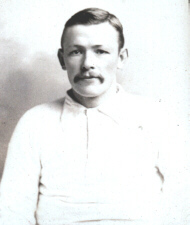 Season 1897 - 98.....Played 28 games and three friendlies along with a possible two more games and scored 11 tries. Season 1899 - 00.....Played 23 and 1 friendly and a possible seven more scoring six tries and kicking four goals. 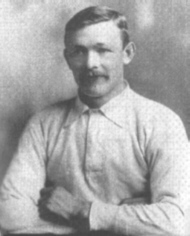 Season 1900 - 01.....Played 29 and two friendlies scoring 5 tries and six goals. Season 1901 - 02.....Played 34, one friendly, and a possible two more. He scored five tries and seven goals. Season 1902 - 03.....Played 32 and two friendlies. No points details are available. Season 1903 - 04.....Played 35, scored six tries and 16 goals. Season 1904 - 05.....Played 29, scored three tries and 19 goals. Season 1905 - 06.....Played 31 and one friendly, scored five tries and 27 goals. 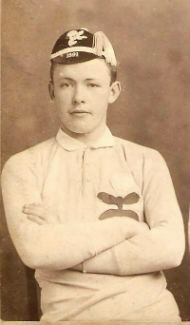 Season 1906 - 07.....Played 31 and two friendlies, scored three tries and 11 goals. Season 1907 - 08.....Played 33 and scored 10 tries and seven goals. Season 1908 - 09.....Walter Played three games and then transfered to Leeds for whom he scored eight tries and kicked 12 goals. Season 1909 - 10.....He scored eight tries and 32 goals. * No information for the first four seasons. The tries and goals details are not complete because in addition to most of the Rugby Union details two seasons of Rugby League information are not available. Thanks to Steve Calline for this information.